Feb 8 A bundle of joy. Let me introduce you to Baby Kasja, the newest sweetheart to steal our hearts. She is a wee bundle of joy, made of cloth and wool and merely 11" tall to be quite honest. 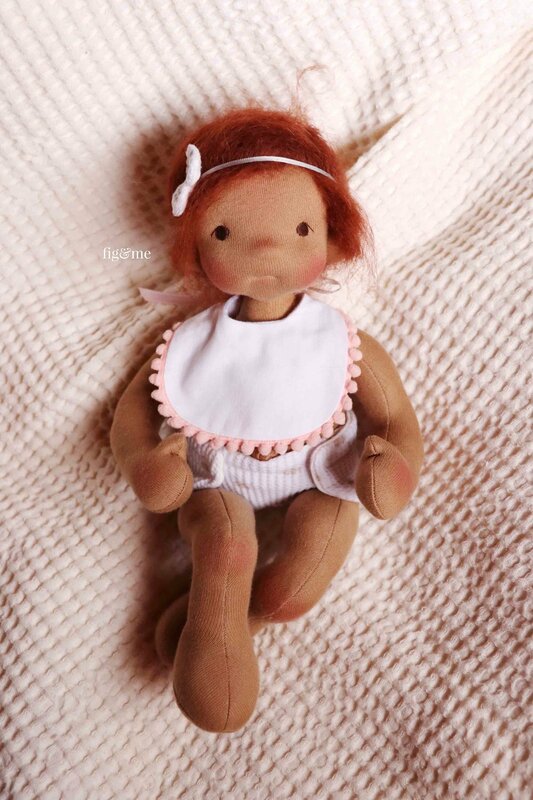 Baby Kasja, a weighted cloth baby doll by Fig and Me. Now Baby Kasja has helped me test the first doll pattern of 2018. Back in September or October, I asked you all via my monthly newsletter, which pattern you wanted me to work on next: the baby pattern or the figlette. While the voting was neck-to-neck, the baby elicited lengthier and more heartfelt responses so I got to work on it first. This pattern is almost exactly to a T to the one I use to sell my dolls. Except I enlarged her feet a wee bit, and gave her more of a neck. 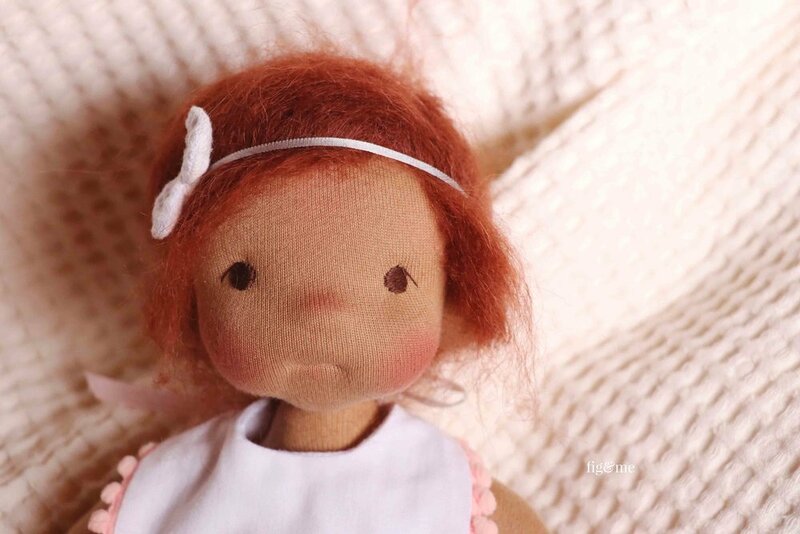 This sweet doll is weighted with glass beads, stuffed with wool, and introduces you to the technique of needle-felting to achieve the precious facial features. The doll pattern comes with this cute ensemble included: a sweet diaper (to avoid messy accidents! ), a lined bib with ties and mini pom pom trim, and a cute bow accessory. 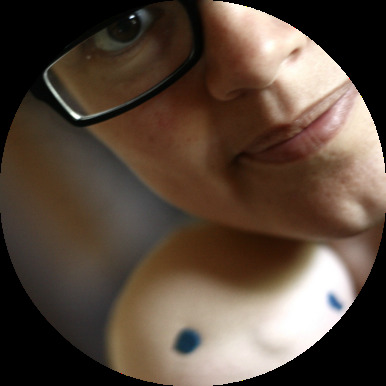 As I mentioned in this month's Love Letter, I spent some time over Christmas thinking and deciding what I would like to do with my future doll patterns. As I only released two last year, the Wee Baby Bunny and Little Fig, it was my first time sailing these nerve-wracking waters. One thing that kept popping up was: clothes for the dolls, do you have patterns that fit this doll?. And so this time I am ready. Aside this cute get-up that Kasja is wearing, you will be able to find two e-Books chock-full of dolly clothes. The Baby Layette Sewing e-book contains 8 patterns, and the Baby Layette Knitting e-Book contains 5. So if you are not into sewing that much, you can at least get knitting…and vice versa. These e-Books will be released only on her size, which is 11" tall. 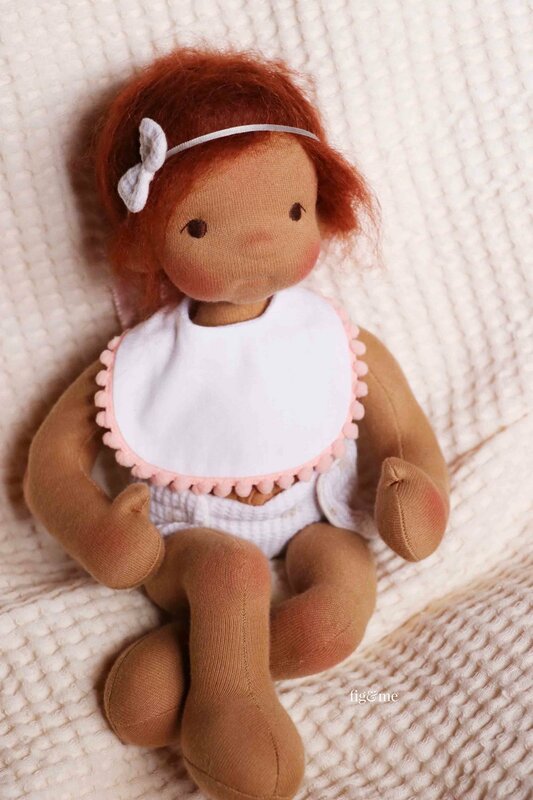 Sweet Baby Kasja, a weighted cloth doll by Fig and Me. Now my darling husband is working very hard to finish Kasja's cradle, and once it's in my hands I will proceed to make her a lovely mattress and pillows and all that she will need to travel away. Kasja will be looking for a home as soon as we are ready, right Kasja?. So for now, I leave you with wonderful excitement, as I get to touch up all those patterns, and as I knit and work some more on her dolly clothes. And if you are on Patreon with me, tomorrow you get a fresh new video. See you there!. 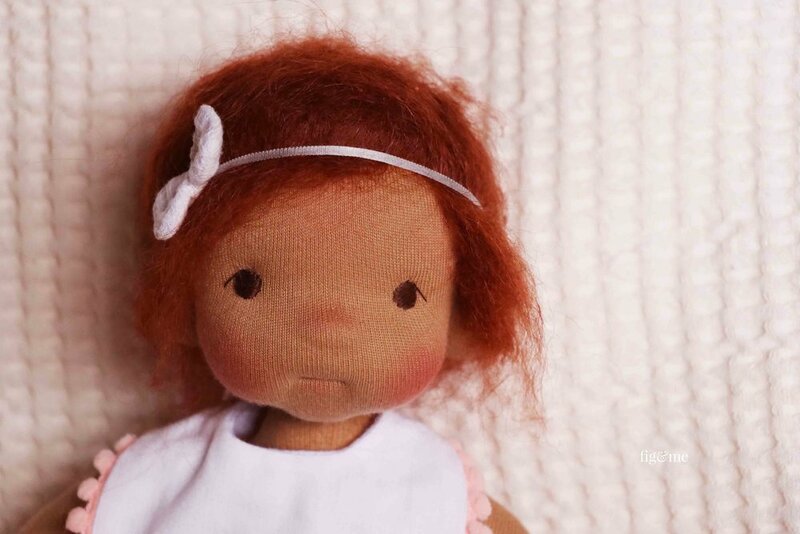 Baby Kasja, a natural fiber art doll by Fig and Me. Feb 16 The Baby Fig pattern and Baby Layette sewing pattern, ready for your hands. Feb 7 The girls play in the garden. Feb 17 And now, the Baby Layette Knitting pattern too.